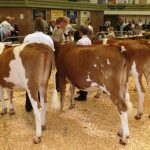 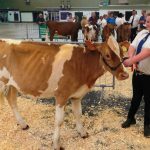 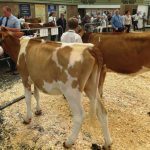 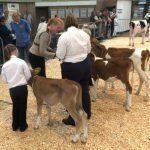 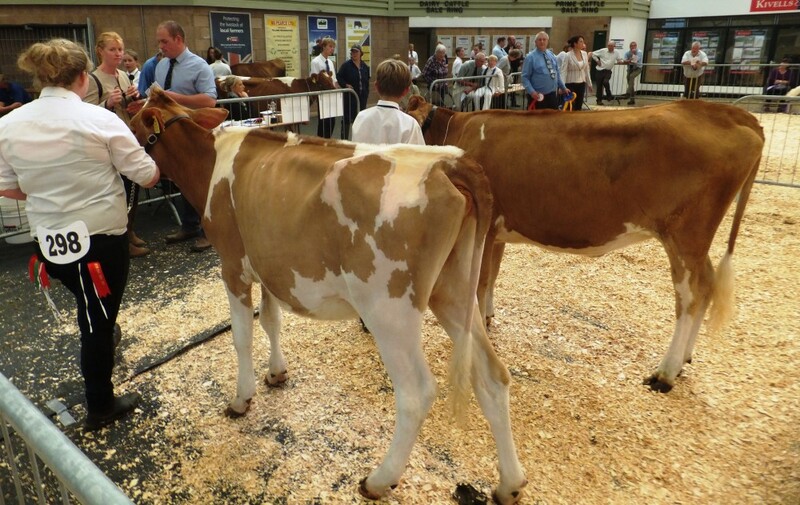 13 calves from 3 exhibitors and 7 handlers were in Exeter Cattle Market on Tuesday 13 September at the second All Breeds show run by the Devon breeders clubs to be placed by Rita Dunn. 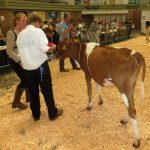 The Holstein show is the qualifier for the All Breeds All Britain show in October with only the first placed handler and first placed calf in each class qualifying. 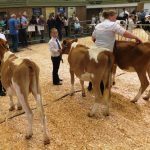 There were 20 Holstein handlers , and 43 calves catalogued,closely followed by the Ayrshires with 11 handlers and 21 calves , Jerseys with 7 handlers and 17 calves. 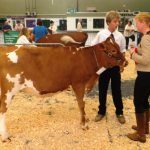 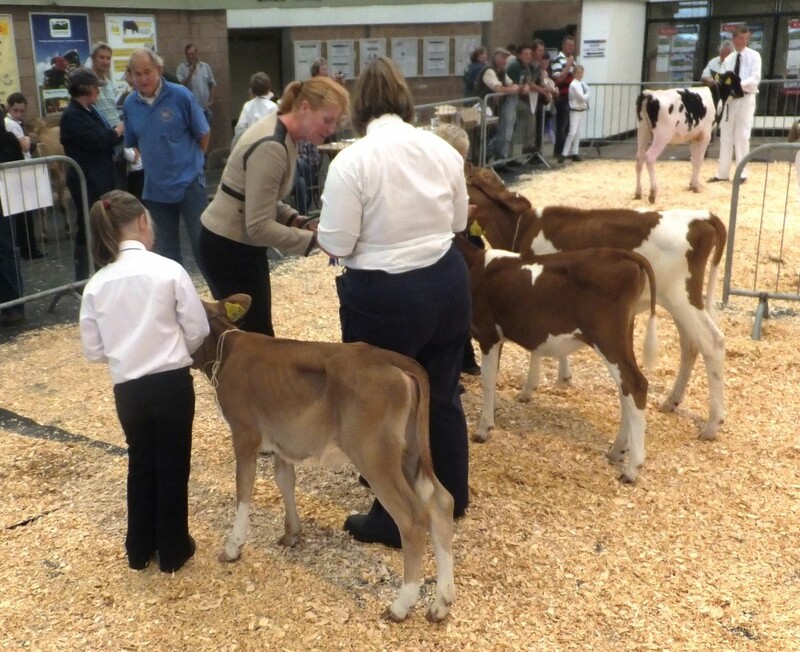 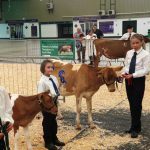 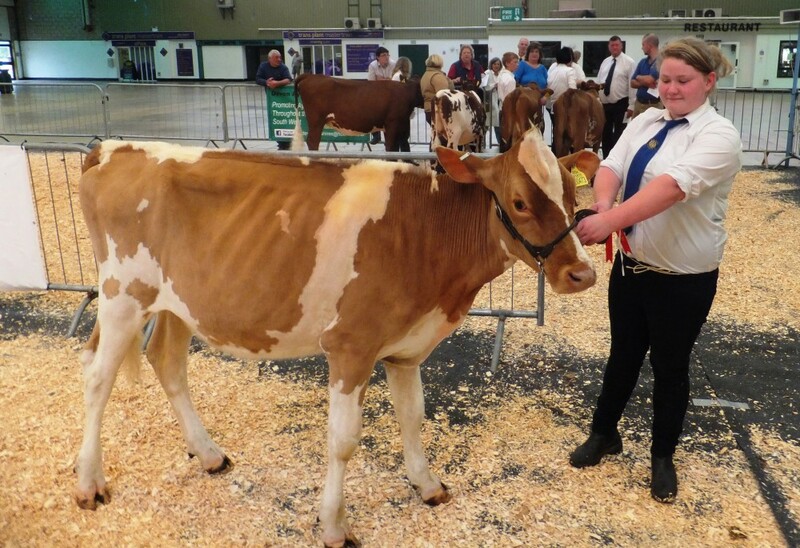 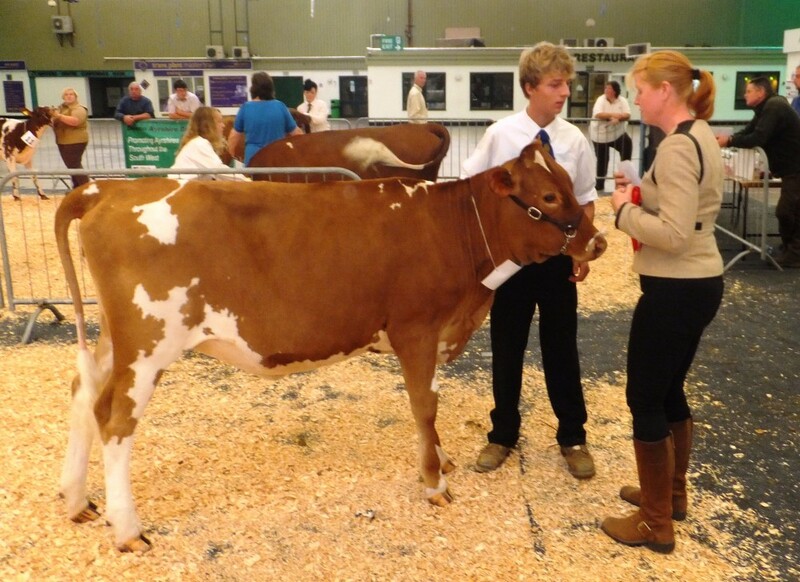 With 5 of the Guernsey handlers competing in the Junior Class (under 12) but 4 of them 8 and under, it bodes well for the future, Hannah Jeffard with a Greensfield calf was placed first and she had been showing at Honiton and gave a very confident display, in second place was 6 yr old Isabelle Phillips with 8 yr old William Hart in third and sister Jessica Hart (5 yr old) in 4th place with cousin Oliver Carpenter (7 yr old) in fifth place. 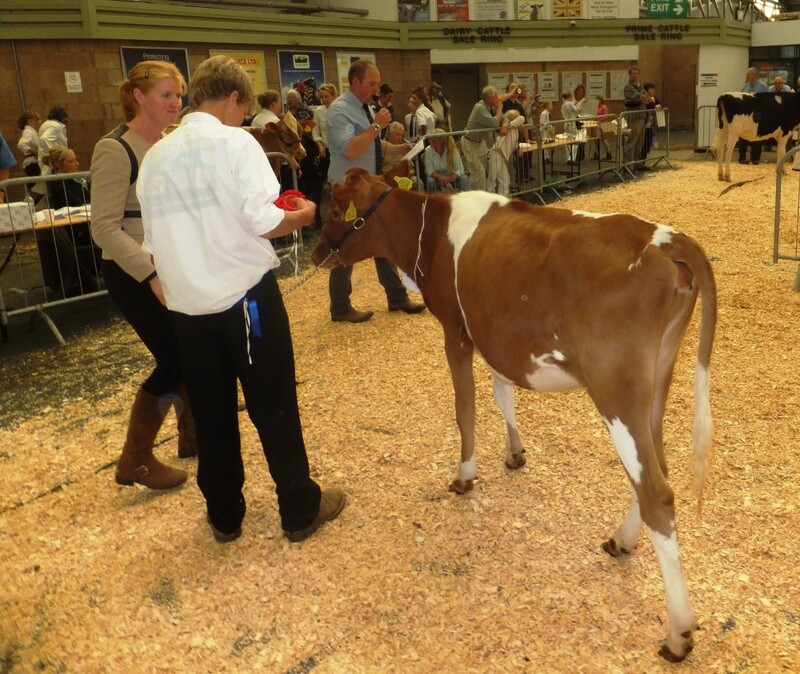 George Radcliffe (15 ) was the Intermediate winner and he has been helping Jon White for the last couple of years. 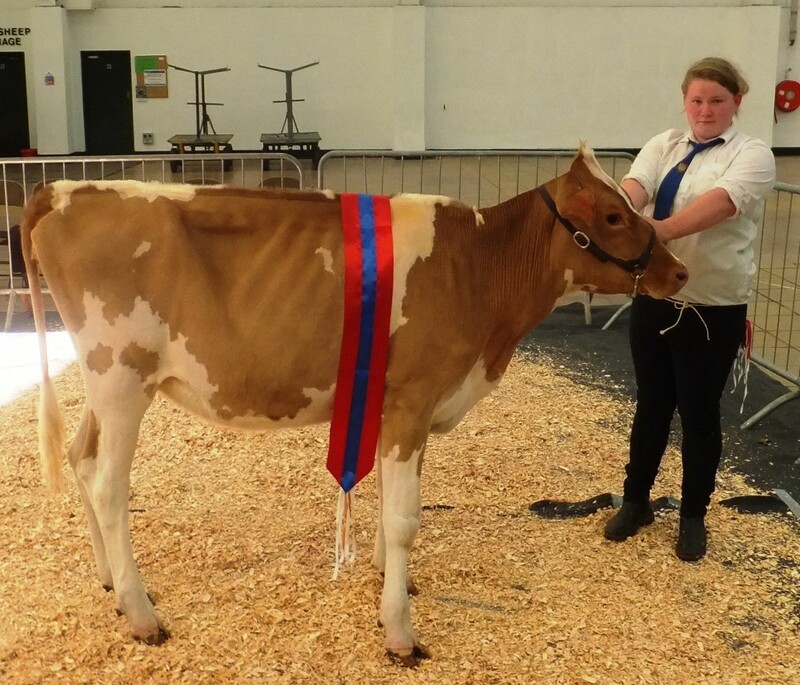 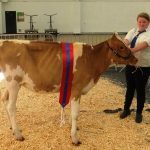 Dolly Boyce (19) handling for the Greenslade family was the Senior and worthy Champion. 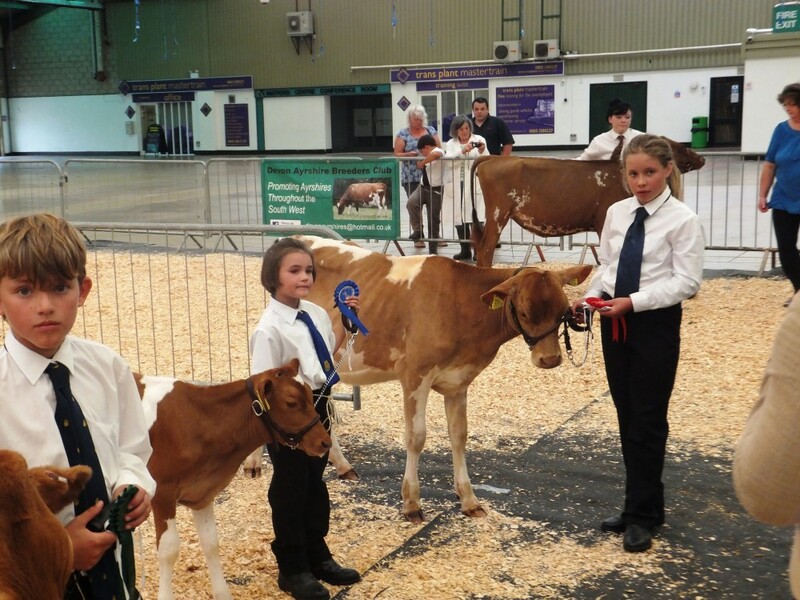 The class for calves born between 1/12/12 and 28/2/13 also drew 3 entries and Greensfield Rum Claudia was placed first with Fairfield Roseisla Abigail in 2nd place and Greensfield Conqueror Phyllis in third place. 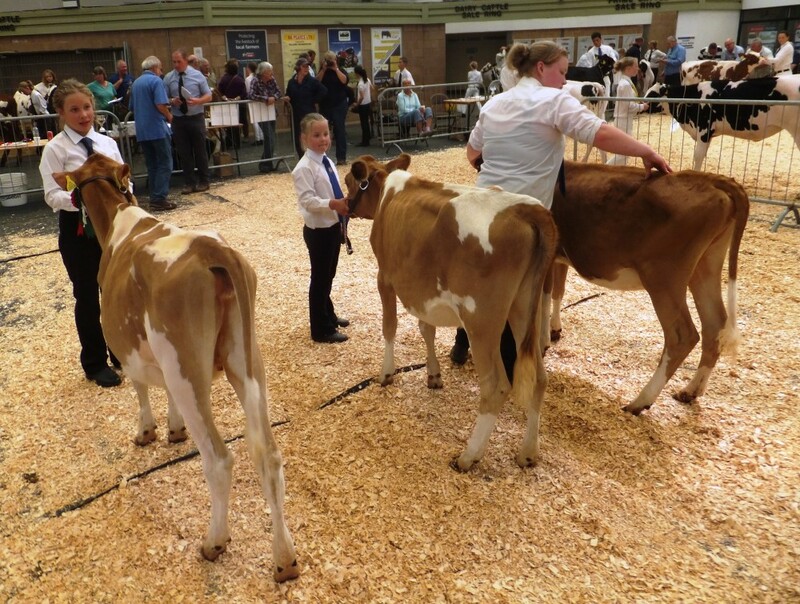 Class 3 for calves born between 1/9/12 and 30/11/12 drew 4 enties and Trewey Andante Jackie 52 was placed first in front of stablemate Trewey Prince Poppy 26 with Fairfield Erics Lilly in third place and Fairfield Ezra Storm in 4th place. 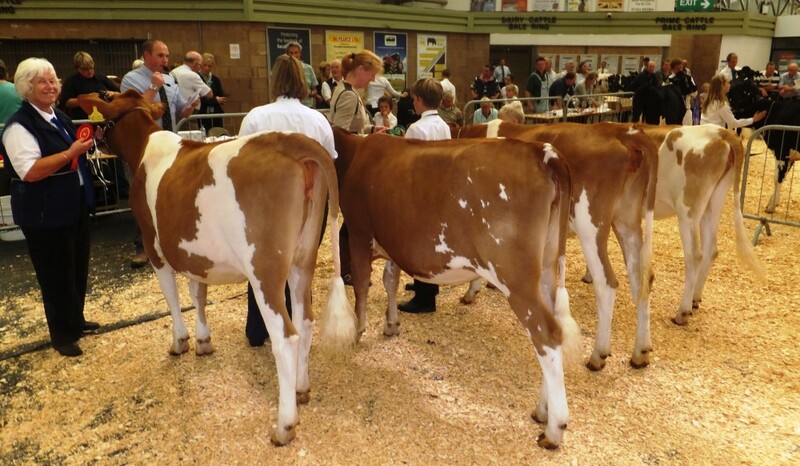 Class 5 born between 1/1/12 and 30/4/12 had two forward including the Champion Greensfield Crunch Glade with Fairfield Grace 2 in second place.